Addressing the issue of language. America’s Hispanic residents especially have a difficult time interacting with physicians and other caregivers who do not speak Spanish or understand the nuances of their culture. But what if technology and telehealth could roll away many of those obstacles? 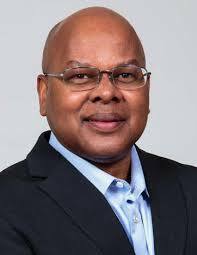 Abner Mason is CEO of ConsejoSano, a Los Angeles -based company committed to making high-quality health care accessible to underserved populations in the United States. 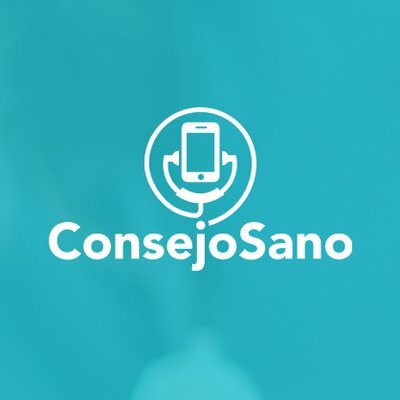 At ConsejoSano, which means “healthy advice” in Spanish, Abner and his team are now developing a platform that utilizes telemedicine, SMS text messaging and other technologies to serve America’s Latino population, including undocumented Spanish speakers. Let’s hear what Abner Mason told me in a recent conversation about his remarkable experiences and company. Kevin Pereau: Can you tell me a little bit about your background and how you came to arrive at this very noble mission? Abner Mason: I’m from North Carolina originally. I went to prep school in Massachusetts, then to Harvard. After Harvard, my first job was at Bain Consulting. From the very beginning, I was working around health care. One client was a pharmaceutical company, and another was a hospital health system. I accepted that invitation, but I ended up staying for more like 14 or 15 years. I took lots of different roles, but ultimately, I was Chief Policy Advisor to Bill Weld, and then for Paul Cellucci and Jane Swift, the two governors who succeeded Weld. I left Bain just before a fellow named Mitt Romney became governor. I knew him at Bain, where he started Bain Capital. We did a lot of the lead-up to what would become known as Romney Care, which was the first such program in the country that offered universal coverage. Then while I was still working as the Chief Policy Advisor for the State of Massachusetts, I got involved with the Presidential Advisory Council on HIV/AIDS under George W. Bush. It was a voluntary position to advise the president, the Secretary of State, and the Secretary of Health and Human Services. AIDS at the time was a growing crisis, both domestically and internationally, and something had to be done. And I just fell in love with that work. It was an example of U.S. leadership in the world. After I joined the Presidential Advisory Council, I was appointed Chairman of the International Sub-Committee. My focus there, in the early years of that administration, was to help conceptualize and implement the Presidential Emergency Plan for AIDS Relief, which became the largest humanitarian health effort ever in terms of money spent. President Bush announced it in his 2003 State of the Union, a $3 billion plan to get anti-retroviral therapy to people in about 15 countries, mostly in Africa. At the time, the mortality rates for HIV were just astounding. Two million people were dying a year, mostly in Africa, but also elsewhere. The U.S. and other countries in the developed world had anti-retroviral therapy, and people in those countries were living longer with the disease. But that wasn’t happening in Africa, so the U.S. took an incredible leadership role in terms of delivering anti-retroviral therapy drugs to people. The view was that if we could put a man on the moon, we could get anti-retroviral therapy to people in the furthest reaches of Africa, in remote places without running water, without electricity, without refrigeration for medicines. It was very complicated. Health care workers rode motorcycles to go out into the bush in Africa, because there were no real roads. I spent time in Uganda, seeing them ride out in the morning to visit people in remote areas. The infant mortality rates were devastating, close to 100% for people with HIV. But we were able to slowly bring those numbers down by something like 80%. It was astounding. So I decided to start a nonprofit, the AIDS Accessibility Project, and we focused on HIV work. Much of the U.S. government funding was going to Africa, for good reasons that I supported. But there was no new funding for Latin America, so I worked with corporations and started the first business council on HIV/AIDS in Mexico. We more than matched government money with private-sector money. We started to challenge the biggest problem in Mexico, which was discrimination around HIV. People were being fired or not hired because of their HIV status or presumed status. If an employer thought people were gay, they wouldn’t hire them because they might have HIV. It was crazy. We got the support of the Secretary of Health in Mexico and the U.S. ambassador, and we ended up doing some really good work, getting companies to change their policies. It was a great experience. I learned a lot there about the role that employers can play. But values matter. It is not just about having the ability to do the right thing, you also must have values that you stand by and live by, that compel you to do the right thing. Keven Pereau: This is pretty astounding. What did you do next? Abner Mason: The experience of running a nonprofit led me to start a for-profit. The companies we were working with in Mexico said that they loved what we were doing with AIDS, but that they wanted to bring people better care for other diseases too. So my partners and I created a for-profit called the Workplace Wellness Council of Mexico, which has now become the leading corporate wellness company in Mexico. It’s a consulting firm that helps companies design and implement employee wellness programs. It has more than 100 corporate clients now and is working with them to improve health across the board, not just HIV, but generally. Keven Pereau: Okay, you have gotten us as far as Mexico in your story. How did you get back to the States and start ConsejoSano? Abner Mason: I saw that there were a lot of solutions that were happening in Mexico for Spanish speakers. And there was an immense need for similar solutions here. You know, Mexico’s population is something like 119 million, and we have about 60 million Hispanics in the U.S., most of them Mexican. I saw that telehealth was growing really fast in Mexico. But telehealth was not growing at all in the U.S. or growing very slowly. So I had the idea to create ConsejoSano. My initial goal was to focus on Spanish-speaking people in the U.S. and to try to improve their health with the application of telehealth technologies. Kevin Pereau: Over the years, one charge I’ve heard leveled against George W. Bush was that he turned his back on the AIDS crisis in Africa. But what you said earlier completely goes against that. Abner Mason: Nothing could be more untrue. He fought hard to get funding for AIDS relief in Africa. There were members of Congress who were saying, “We have seniors in my district who need help, and you’re going to give medicine to people out in the bush in Africa?” You could imagine it was not the easiest thing to do, to get Congress to step up to do the right thing. But it was a health crisis that could literally have spun out of control. Historically, as we get some distance from George W. Bush’s administration, people will see that one of the areas where he really showed extraordinary leadership was in health and HIV. It is one place where I think history will see him as a great leader, and a moral leader. Kevin Pereau: Please tell us more about ConsejoSano. Because we are venture-backed, we are under pressure to perform because we are for-profit. We need to grow the business, and we will have an impact on health, but also hopefully we will reward investors who believed in us. As we have grown the business, we see that Medicaid offers a huge opportunity for us to do a lot of good. We are also working with Medicare Advantage. But I envision that we will be a thought leader when it comes to Medicaid. We believe that Medicaid is crucial to the country’s overall health. So many people are on Medicaid, it is the largest health program in the country. Someone has said, and it’s probably true, that the number of people who are on Medicaid is equal to the population of France. It is a huge program, and it’s growing, and it’s crucially important. That doesn’t mean it’s perfect and it shouldn’t be improved, but it is important to millions of Americans. One of the things we need to do is figure out how to move innovation faster within the Medicaid program. Government is notoriously slow, with all kinds of regulation. Health care is also notoriously slow to change. If you combine them, you get almost glacial slowness. And then you add to that the fact that Medicaid is a federal and state program – actually 50 different programs. There is no one set of rules. Now, that could be turned into an opportunity. It could be possible, for example, to let 50 different states try 50 different things. They could be laboratories for experimentation. I’m hopeful, but it hasn’t yet happened nearly the way it should. Kevin Pereau: Why do you think that certain populations in America are so underserved when it comes to health care? Abner Mason: As is the case with a lot of things in our society, it’s not easy being poor. That’s the reality. And health care is expensive. If you are wealthy, you can pay for it yourself. If you qualify for Medicaid, fantastic, you have some support. But there are challenges for the people in that middle category. They’re not poor enough to qualify for Medicaid, but not wealthy enough to just buy health care on the open market. So, they suffer. And then of course, there are the undocumented. We have a lot of people in the country who don’t qualify for Medicaid because they’re not citizens, but most are still low income. Kevin Pereau: How do you go about providing better care for the poor and undocumented? Abner Mason: I think it will be a combination of technologies like telemedicine and various programs. I’m hopeful, but it’s not going to happen in the short term. California has moved to start to provide some health care for undocumented children for example, and pregnant mothers. Even if they don’t have papers, they can get care. California is an example of a state that is trying to do some of that now. Kevin Pereau: What else can you tell us about telemedicine? Does it really have the potential to help vast groups of underserved people? Abner Mason: I think so. And it is, but not yet to the extent that it could. I was really impressed by what I had seen on telehealth in Mexico. It was growing fast and interestingly, in Mexico, it was targeted toward the growing middle-class. In Mexico, wealthy people have a lot of options. A lot of them come to the U.S., to Europe or to England for health care. But if you’re poor in Mexico, you have to rely on the government, and it’s not great. The government has a universal health care program that was instituted by Vicente Fox. But it’s government care, and as you might expect, it’s not always the highest quality and there are long waits. There is a growing middle class in Mexico, because the economy is growing. Middle-class Mexicans wanted something better than the government programs and they were looking for solutions. So Salud Interactiva, a telehealth platform, developed a solution. I got to know that company very well—it’s a leading telehealth company in Mexico. A few years ago, it had 5 million subscribers, all getting high-quality telehealth services. McKinsey did a study and recognized it as one of the global best practices for telehealth in the world. I got to know the people in that company and I partnered with them. We had discussions about offering their service to Spanish speakers in the U.S., where there are not enough doctors who speak Spanish. So I put together a partnership with Salud Interactiva in Mexico that would allow people in the U.S., Spanish speakers, to just tap their mobile phones and get medical counseling. It would connect customers to native Spanish-speaking physicians 24 hours a day, seven days a week. You couldn’t do a full consultation, because the doctors are obviously in Mexico and they’re not licensed in the U.S., but they could give advice. There are 60 million Hispanic people in America, and about 20 million of them speak Spanish only. Many of them are low income and many of them are undocumented and can’t qualify for Medicaid. There are obstacles. With government programs, for example Medicaid, you cannot use offshore resources. But in my opinion, there’s a huge potential to significantly improve access to high-quality health care for Spanish speakers in the U.S. if we could just allow them to use this service that’s just across the border, a fantastic service that middle-class Mexicans are using. Plus, because of the price differentials of our two countries, we could make it extremely affordable for lower income people in the U.S. But you can’t do it because of various, what I would call, outdated regulations. It’s another example of a huge missed opportunity to help people. But we are working on that. Just think about it. If you are a Spanish speaker in, say, San Antonio, you could talk to a doctor in Mexico who is only a short distance away, someone who speaks your language and understands your culture. But you are prevented from doing that. You have to speak with an English-speaking physician who is somewhere in America, possibly very far away. So this web of regulations hasn’t quite caught up to the reality of telemedicine. Your mobile phone allows you to talk to anyone, so why shouldn’t you be allowed to talk to a doctor in Mexico? A physician of your choice? Kevin Pereau: I will be thrilled to see where you go now with your company, and equally thrilled to see how much good you will do in the world. Abner Mason is CEO of ConsejoSano, a Los Angeles-based company committed to making high-quality health care accessible to underserved populations in the United States. 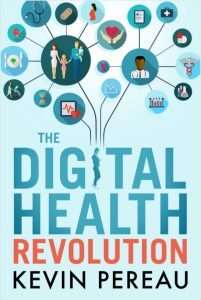 Thank you, Abner, for sharing your insights and contributing to my book, “The Digital Health Revolution” Kevin Pereau – sign up here for updates and get your copy today.